I have used the shades Blueberry ice, Blackcurrant pop and Bold gold. 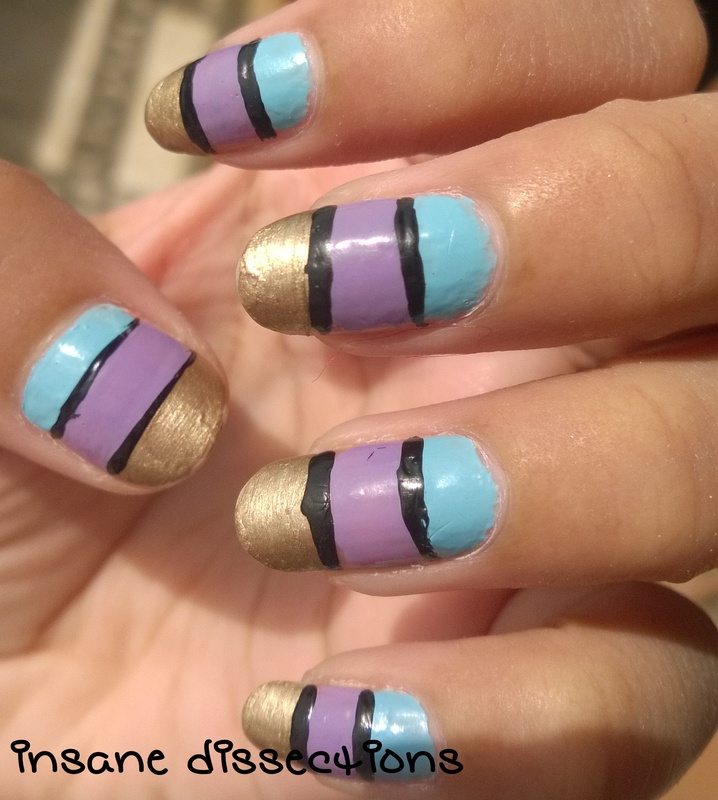 Striping tape would have looked better and crisp than the black separating lines (which I coudnt draw neatly as my polish had gone gloopy). 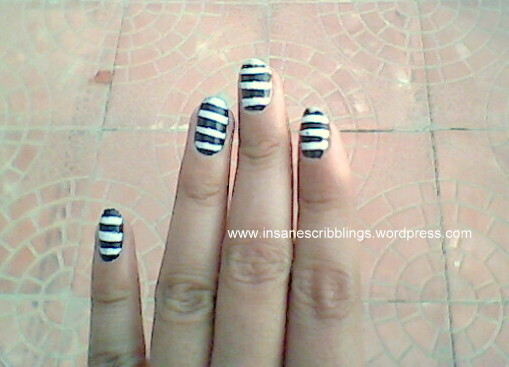 But since i donot have striping tapes, I had to make do with black polish. You can replace the gold part with the glitter polishes that Maybelline launched in its Colorshow range recently. 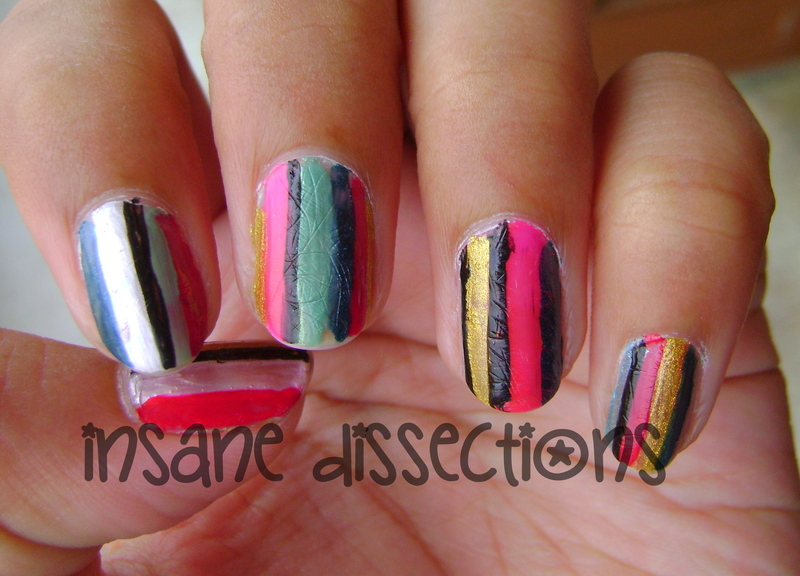 Color block is one of the easiest nail arts to do. If you are a beginner, you should definitely give this a try. 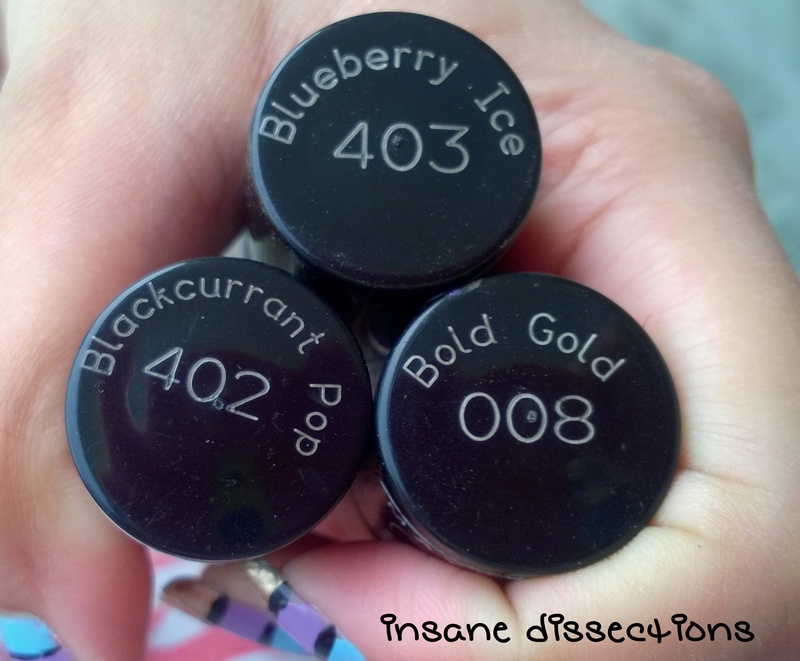 *Disclaimer: Blackcurrent Pop nail polish provided by PR. Rest two are my own. 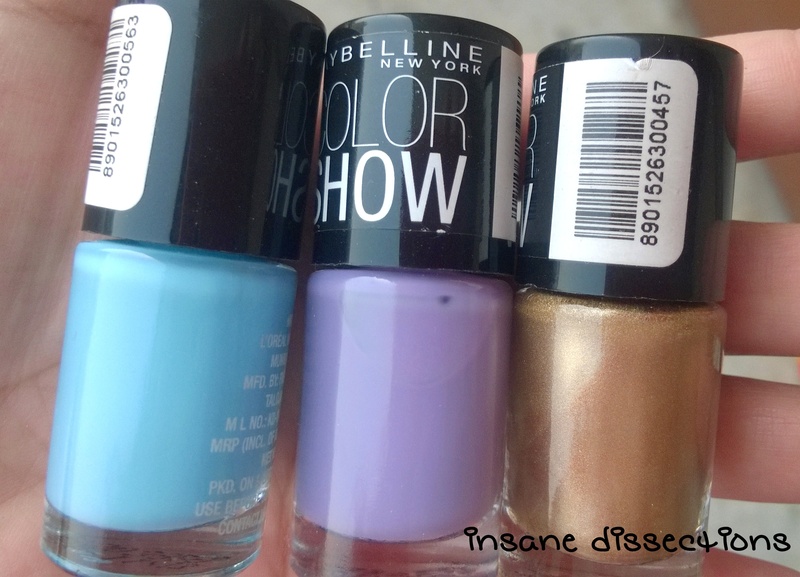 Maybelline colorshow nail polishes are such a rave these days, and I couldn’t help but pick some shades myself. 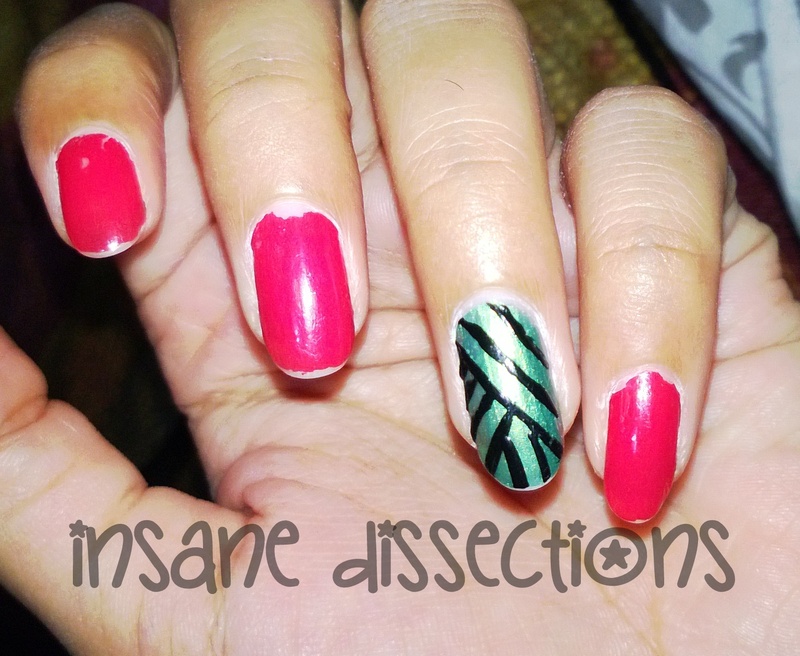 Here is one nail art I did with a Colorshow nail polish. This one is Orange Fix. I did a simple Accent nail art because I didn’t want the beautiful color of this polish to get masked by a full 5 fingers nail art. I have not used a top coat here. 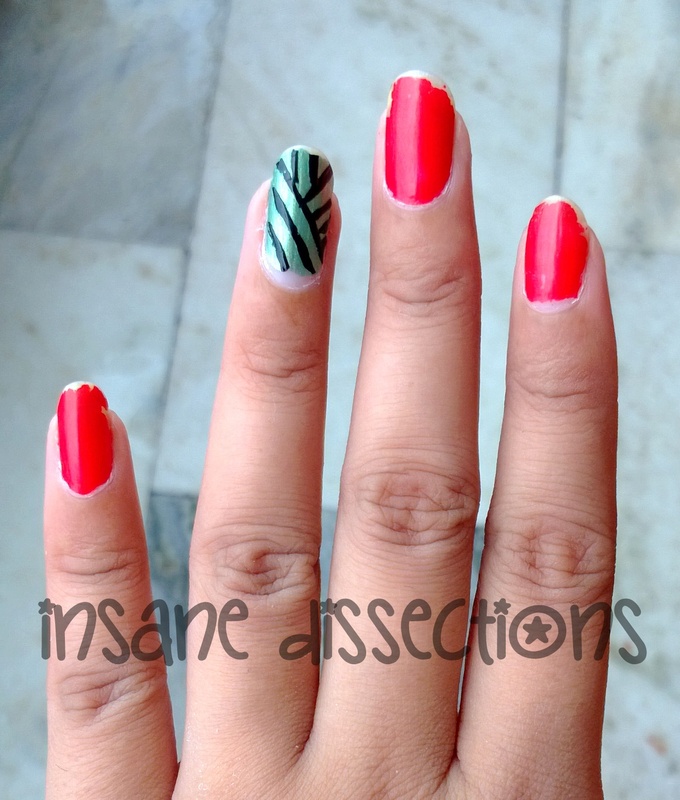 I added diagonal stripes on the Accent nail. Pwetty simple. 2 minutes job. I am not going to talk about the pretty-ness of this nail polish color. That will follow in a subsequent full fledged review post that these polishes totally deserve. 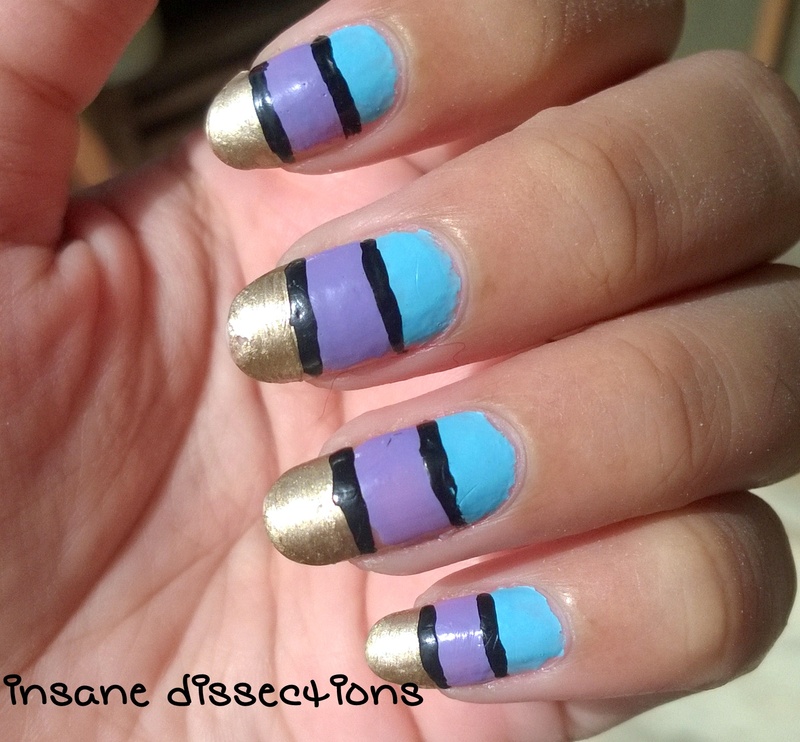 I have been wanting to do a stripes nail art for a long time. And finally when I sat down to do one, my patience level didn’t allow me to paint on all 10 fingers. So, I made it an Accent nail art. I did a simple French tip on rest fingers. Now, after a few days the French tips started to chip away while the accent nail was still sitting pretty. 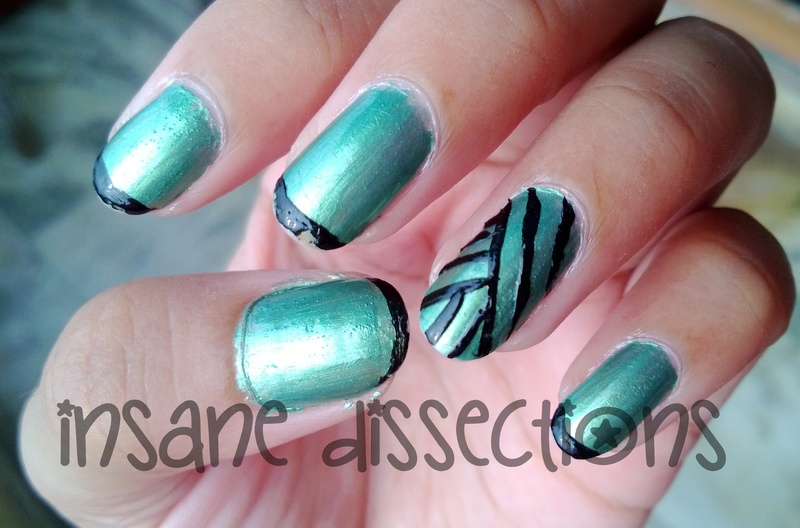 So I thought of re-doing my nail art. 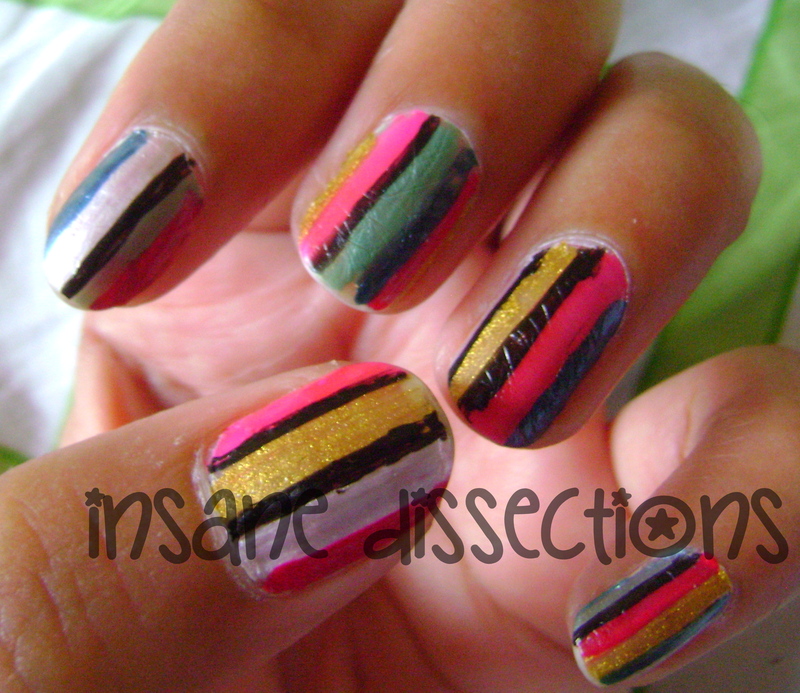 I wanted to do a colorful mani this time and suddenly the idea of stripes struck me. 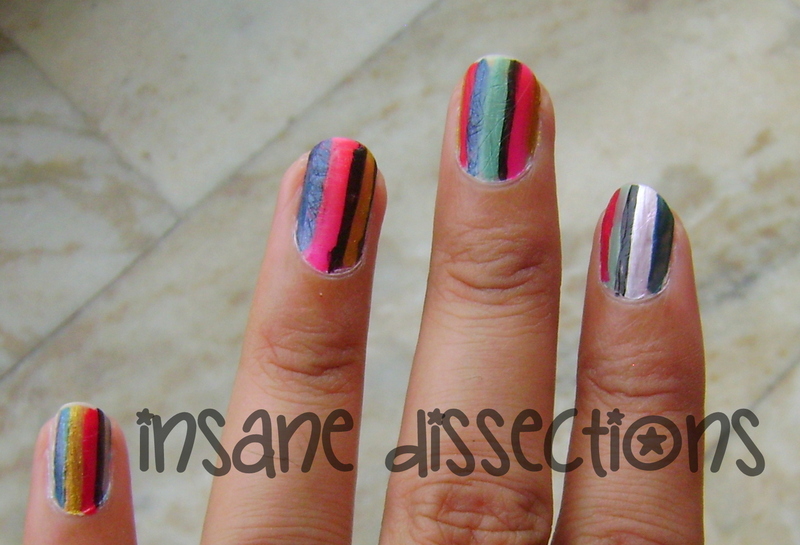 I have already done a similar colorful nail art earlier, check it HERE. 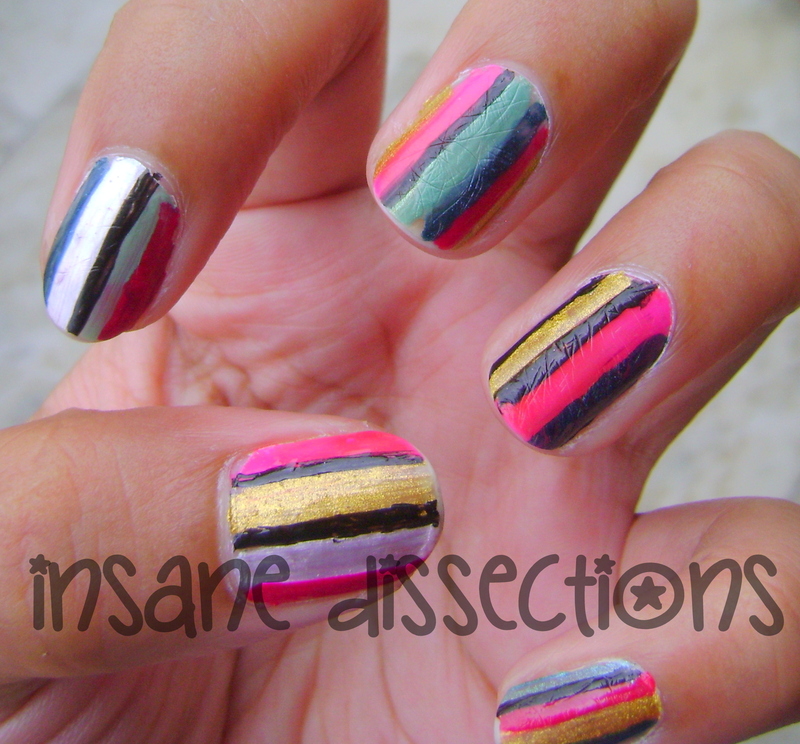 Just grab a couple of your favorite nailpolishes and started painting stripes on each nail. So, I ALWAYS paint both hands, no matter how messy the outcome maybe. This is how my right hand looked like. Apart from the index finger, all other nails look decent, don’t you think. I have a habit of applying nail polish during the night. The result: My not-so-quick drying top coat leaves fabric marks when I wake up the next morning. TIP: Alternate a light color with a dark color stripe to get a brighter effect. 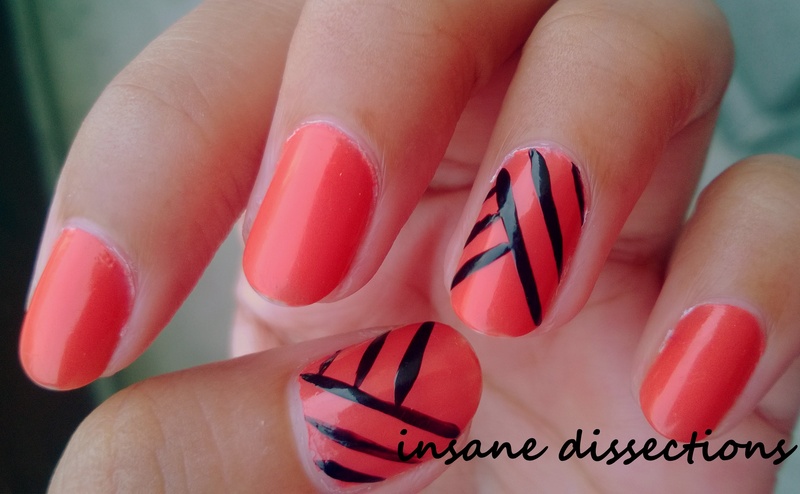 It has been a long time I posted a nail art, so I decided to upload one finally. 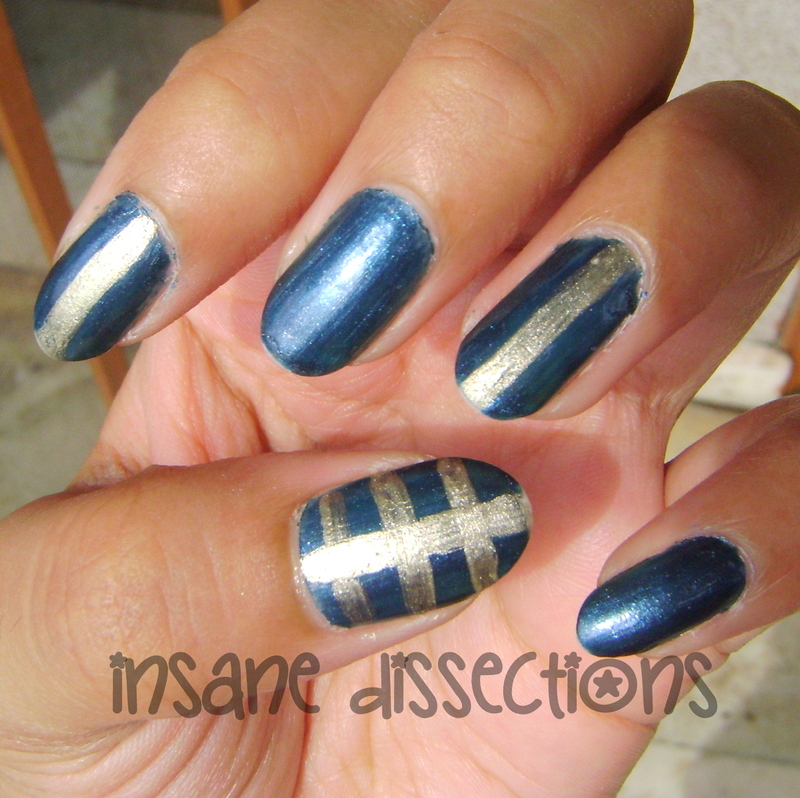 I did this Blue-Golden nail art a couple of weeks back. 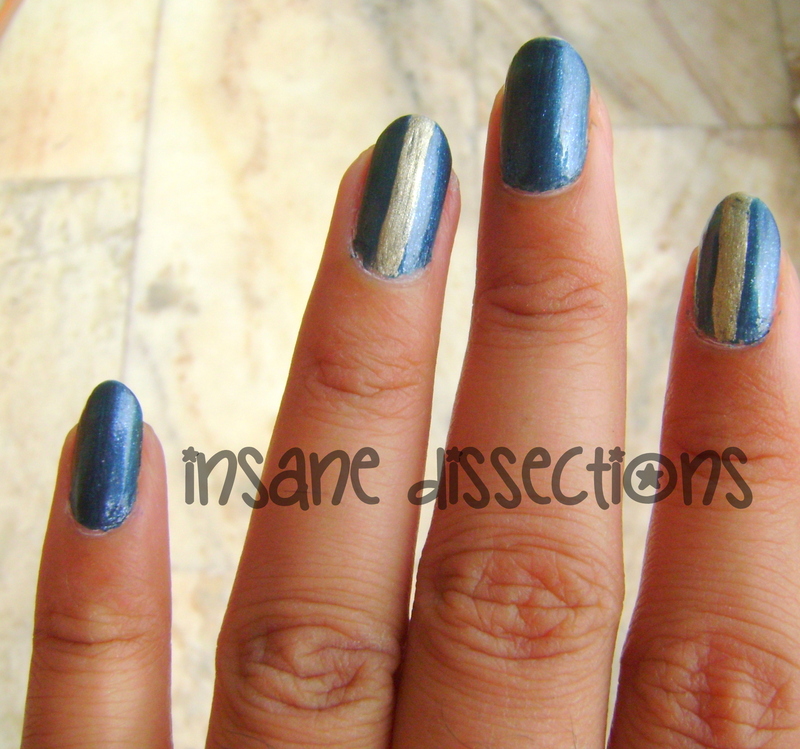 I painted my nails blue and added a golden stripe in the middle of alternate nails. 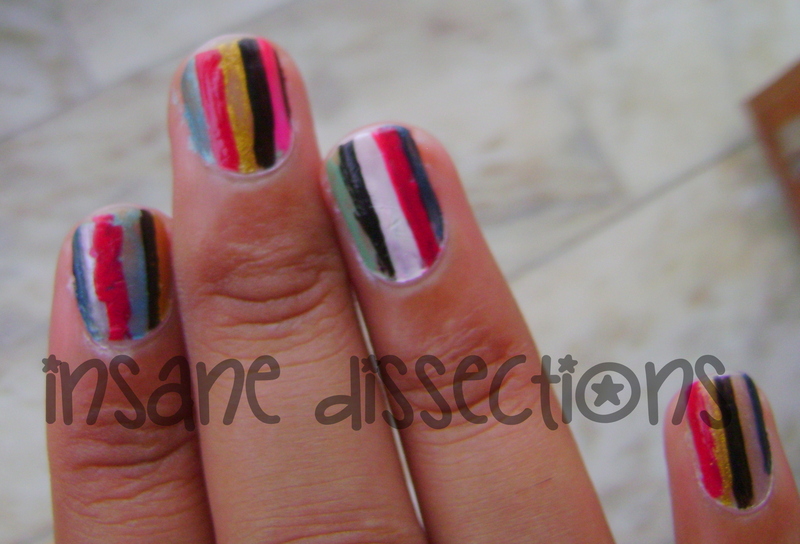 I added a few horizontal stripes on my thumb. 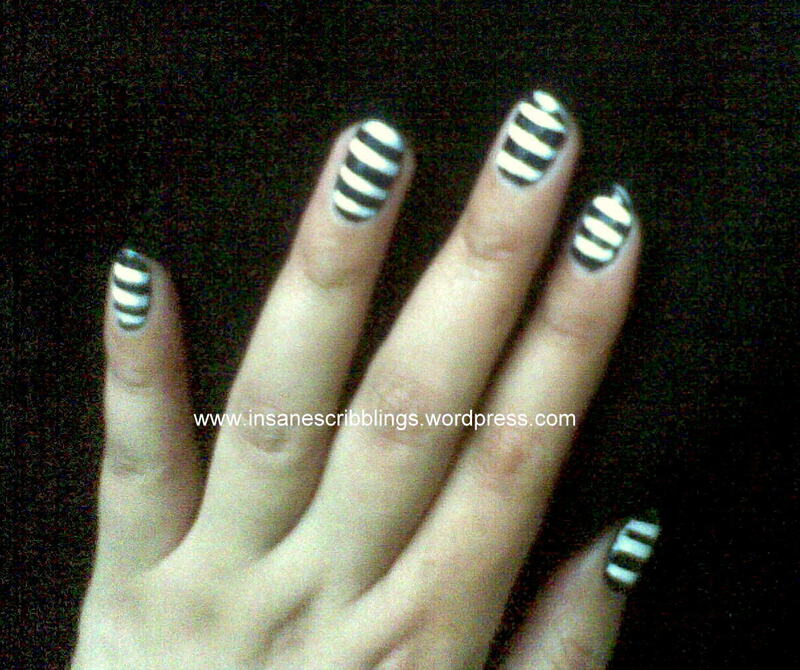 I used normal nail polish brush to add stripes. The blue nail polish is Lakme True wear Nail color in shade 043. I got rainbow on my nails! Well, not exactly rainbow but this one’s sure colorful like a real one. I wanted to do colorful nails this time and didn’t really give a thought before applying the polishes. So this one’s kinda spontaneous and done in a jiffy. 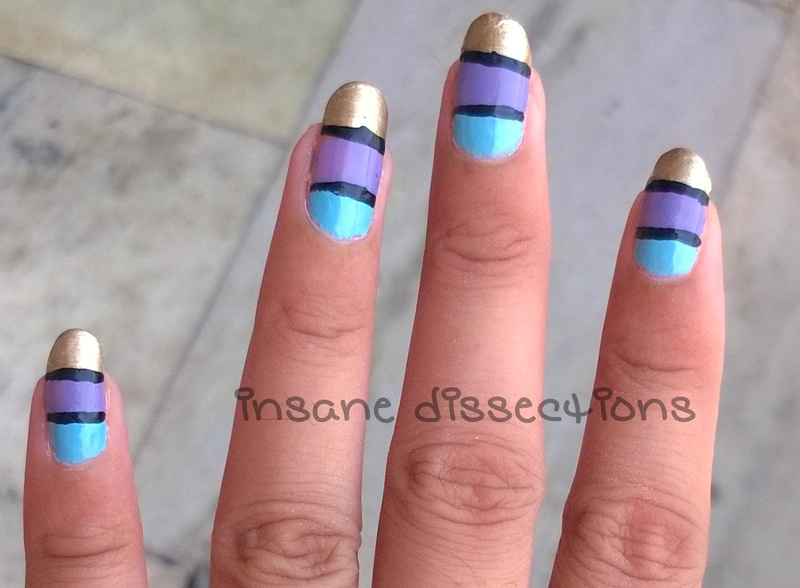 This nail art also tells you why one must ALWAYS apply a top coat. Girl if you don’t want such random chipping, go grab a topcoat. 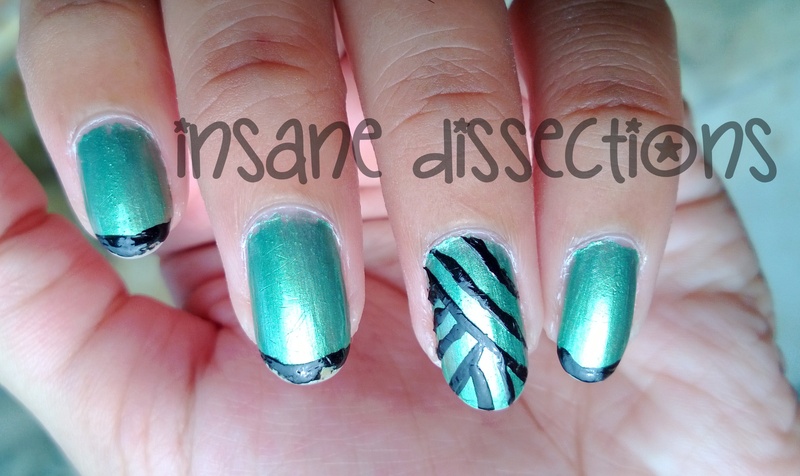 You can see how this nail art lacks tidiness but who cares when it’s still pretty… haha! I was a novice at nail art (still am) when I got hooked to colorful, bright nails with beautiful nail designs. I used to get ideas about the designs online through others’ blogs. Here, I hope the likes of my kind may find something useful. 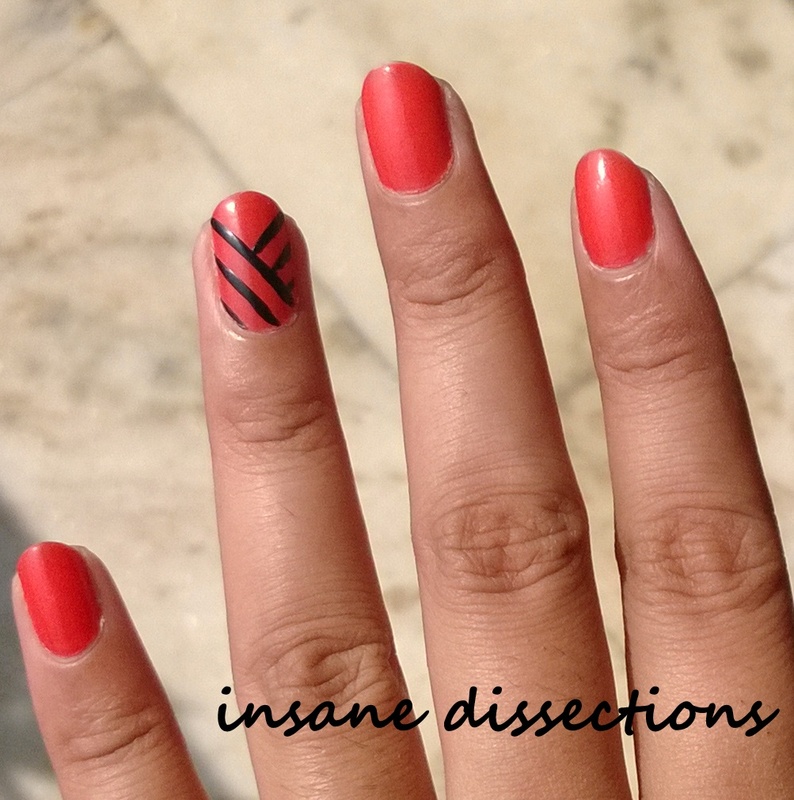 I did not use any nail art tools but only scotch tape. I must tell you it is really a pain to cut the scotch tape this thin. 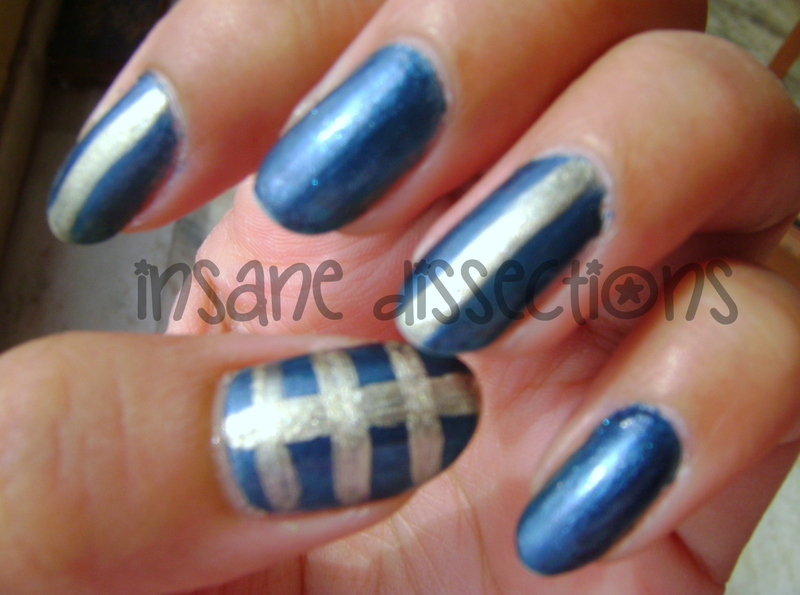 Plus I used the bad nail paints which chipped badly (as can be seen from the pics) and took so much time to dry. 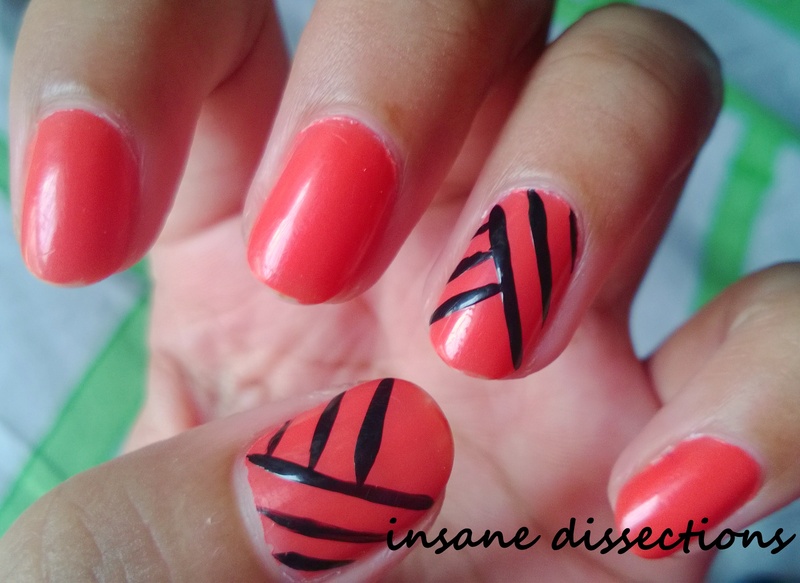 Anyhoo, I give you girls an idea about the designs that you can try on your nails. 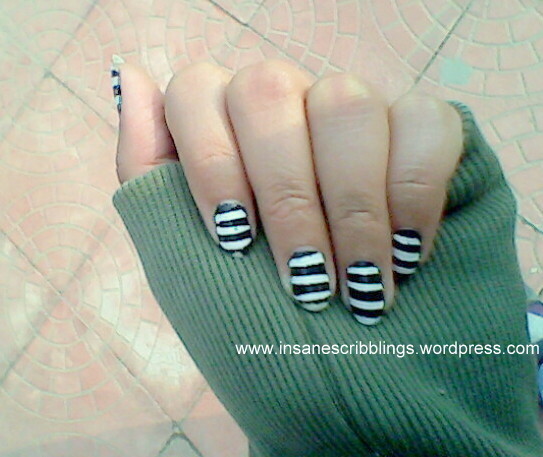 The pics were taken 4-5 days after I did this nail art. Plus I should have used a top coat. But am too lazy and the bad quality of nail polish (which took toooo long to dry) drained all my energy.